A camera on a pair of glasses is nothing new on the technological landscape. They’ve been used for surveillance and various consumer needs for years. The OrCam, however, is intended to help the visually challenged. It attaches to your glasses with a magnet, so it sees what you see. With a mere point of your finger it scans the subject and sends the information to a very powerful computer that fits in your pocket. It can remember and recognize faces, read words and even watch traffic lights. 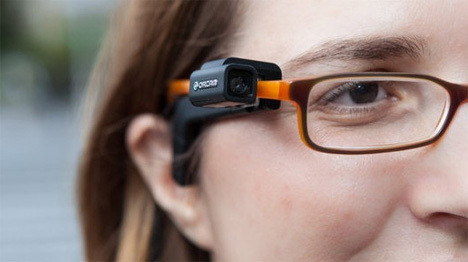 The OrCam also uses a bone conduction earpiece, which is vital for delivering the converted text to speech to the wearer, or to describe whatever they point at. If only it would expose secret messages and alien races.